As Taiwan’s capital continue to grow its reputation for a variety of fine foods, Corner House’s Jason Tan lets us in on some of his favourite haunts. They say that Taipei, with its clusters of night bazaars and endless street food options, is one of the world's most food-obsessed cities. And it’s only a matter of time, before the capital of Taiwan becomes a regular fixture in plans of the jet-setting food cognoscenti. One such jetsetter is Jason Tan, chef-owner of Corner House, and whose food-filled life as a chef includes projects and cooking opportunities across the globe. This year alone he spent two weeks cooking in Taipei, which included a four-day stint cooking at Landis Hotel and participating in Fimm Media's International Chefs Summit Asia 2017. Last year, Tan also spent a week cooking at a private event in Taipei. But Tan also enjoys the opportunity to dig into some of the city’s top food haunts, spending most of his pre- and post-kitchen hours dining around the city. Here, he spills the beans on a few of his favourites restaurants. “Chef Seiji Yamamoto is one of the chefs I admire most, so I regularly visit his restaurants in Taipei, Hong Kong and Tokyo,” says Tan. However, Tan notices a point of distinction in Ryugin’s Taipei offshoot. “Its resident chef, Ryohei Hieda, sources most of his ingredients, including fish, locally and this includes the sweet ayu that arrives at the restaurant from Yilan alive, and is used for the signature dish of deep-fried ayu.” Apart from this, Tan’s other favourite course at the kaiseki restaurant is the dish of sea urchin with onion in duck sauce. “Sushi Koiki is an affordable sushi-ya with great Japanese food and friendly chefs,” says Tan, who particularly enjoys the restaurant’s engawa (fluke fin) sushi, its homemade mullet roe, as well as a starter of bafun uni, ika in dashi with goma. “We ate very well for about NT2800 ($126),” adds Tan, who recommends the omakase. When in Taipei, Tan recommends a visit to Andre Chiang’s design-driven bistronomy, Raw, where the menu changes seasonally to account for the country’s 24 micro seasons. 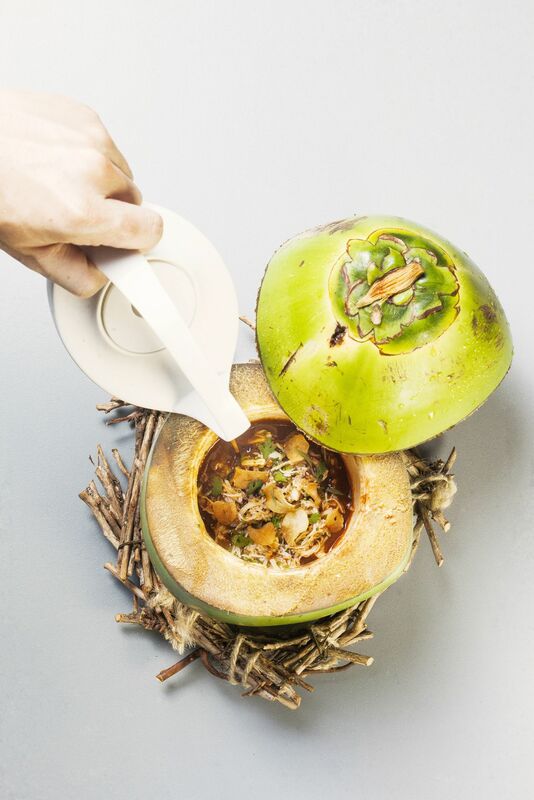 “I like that many of the elements of the restaurant reflect on Taiwanese heritage and draw on the local produce,” says Tan, whose favourite dish here is the buri kingfish with local water bamboo and cucumber in a localised tiger’s milk dressing.